Plate solving is a function that allows us to precisely point at celestial objects by calculating the exact positions of stars in the image. Prism includes two types of plate solving: known and blind. I. Known Plate solving: This method relies on the user providing the right information about an image including: Right ascension, declination, universal time, focal length, pixel size, and which catalog to use to extract references. Prism extracts all the stars from the image and compares them to the a catalog of your choosing. We have included the GSC-ACT catalog by default. The following shows a successfully plate solved image in Prism. Note that it even displays the North and East directions for your reference. 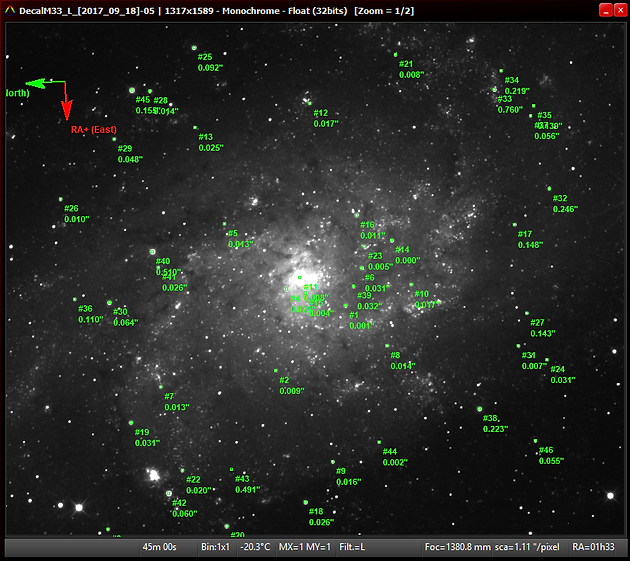 This function helps us determine where in the sky the telescope is pointed without knowing the location or date/time. This process can take a little while to complete since it compares the extracted stars from your image to the catalog of your choosing. Prism searches for matching stars in as much as 50% of the visible sky. You can determine the actual position of your telescope by taking and image then going to Observatory > Telescope Tools > Find telescope position. Prism will search for an astrometrical solution in 50% of the visible sky then synchronize your telescope. This very helpful if you are trying to center an object. 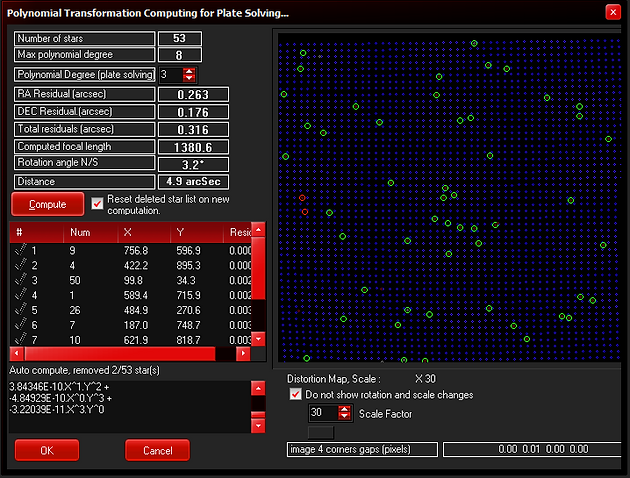 The popular blind plate solving engine is also available for use in Prism, both online or locally. http://nova.astrometry.net/ . 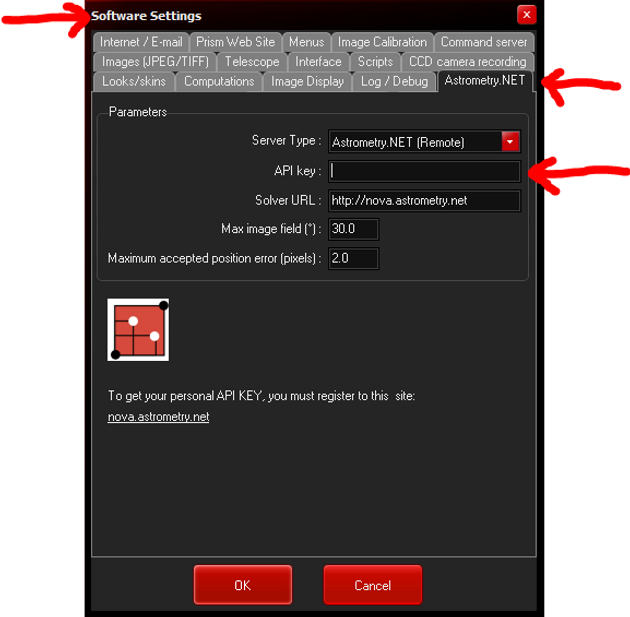 Once your key is obtained, please enter it in the appropriate section by going to Settings>Software settings >Astrometry.NET tab>API key. To conclude, Prism empowers our users with some of the best tools available to amateurs today. Fast and diverse plate solving assets ensure the utmost accuracy in finding objects across the night sky while staying centered during automatic observations. Please view the video tutorials that explain plate solving in Prism. Do not forget to expand the video to fullscreen and take advantage of the higher resolution.